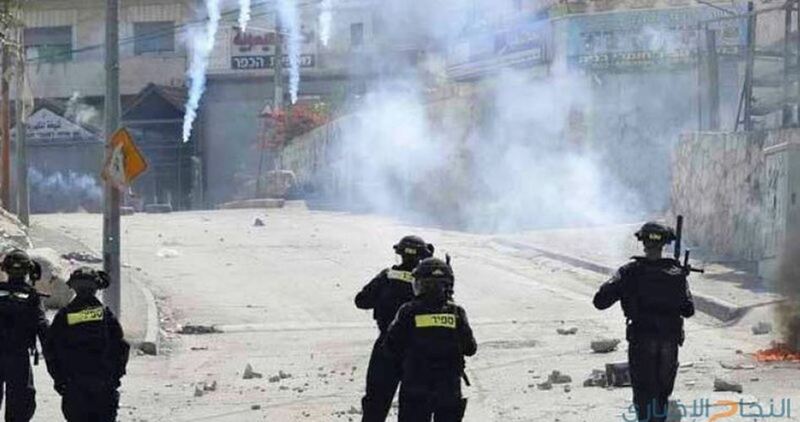 Dozens of Palestinian school students suffered from their exposure to tear gas during clashes with the Israeli occupation forces (IOF) in Sebastia town, north of Nablus in the West Bank. 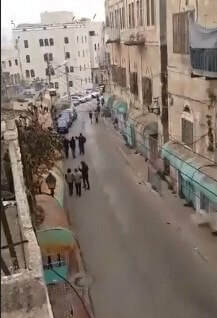 Sebastia mayor Mohamed Azem said that Israeli soldiers stormed the vicinity of al-Madares (schools) street while firing shots and tear gas grenades, which provoked clashes with local youths. Azem affirmed that several school students suffered from inhaling tear gas, adding that such provocative acts happen repeatedly by the IOF. Grant contracts for two Grassroots Human Security Projects (GGP) were signed on Thursday by the Japanese Ambassador for the Palestinian Affairs, Takeshi Okubo, and representatives of Beit Dajan and Talfit village councils at the Japanese Representative Office to Palestine in Ramallah City, in the central occupied West Bank, for a total amount of $174,796. The Beit Dajan village council in Nablus in the northern West Bank will use a fund of $88,247 to provide 122 students with appropriate educational requirements in the school building by constructing 4 classrooms (192 M2) in Beit Dajan secondary school. The Talfit village council will also use a fund of $86,549 to provide 77 students with appropriate educational conditions in the school building by constructing 4 classrooms (180 M2) in Talfit Secondary Girls School. 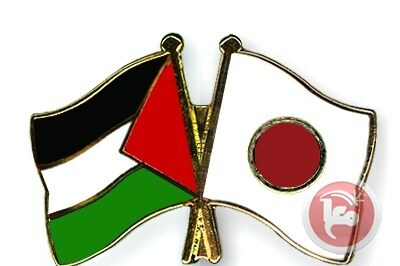 Okubo congratulated the Beit Dajan and Talfit village council and wished them success in their project; he emphasized Japan’s firm commitment to supporting Palestinian people from a human security perspective as well as the importance of implementing social and economic development projects needed for Palestinian communities. Israeli settlers verbally assaulted and threatened a Palestinian to kill him, in the southern occupied West Bank city of Hebron, on Thursday morning. Ziad al-Sharabati told Ma’an that he was threatened by three Israeli settlers as he was helping international activists who were escorting children to cross the al-Shuhada Street checkpoint on their way to their school. Al-Sharabati added that the settlers verbally assaulted him and cursed him and the international activists before threatening all of them. He pointed out that Israeli settlers verbally assault and curse at international activists helping locals in an attempt to force them out of the area. 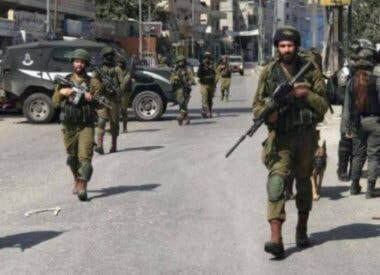 Israeli soldiers abducted, Monday, two schoolchildren in Betunia town, west of the central West Bank city of Ramallah. Eyewitnesses said several army jeeps invaded the Schools area in Betunia, harassed children in the schools’ area, and searched some of them. They added that the soldiers abducted two schoolchildren, and moved them to an unknown destination. 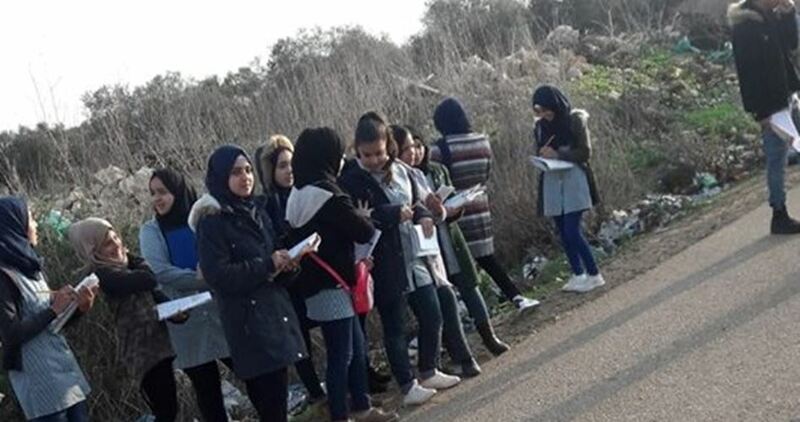 Ribhi Doula, the Mayor of Betunia, said the soldiers also invaded the Schools’ area, Sunday, and added that the army frequently invades the town and conducts provocative acts. 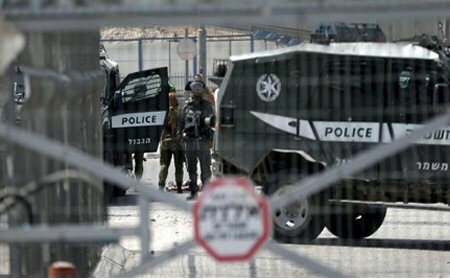 Israeli soldiers injured, Sunday, many Palestinians in the al-‘Arroub refugee camp, north of Hebron, in the southern part of the occupied West Bank. 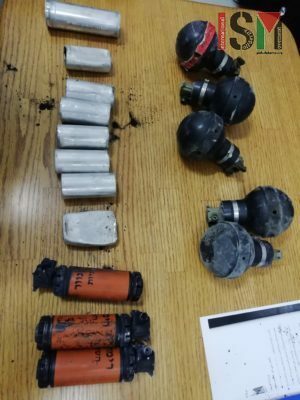 Media sources in Hebron said the soldiers invaded the refugee camp, and fired many gas bombs and concussion grenades in its streets, alleys, and several homes, causing dozens of Palestinians to suffer the effects of teargas inhalation. They added that several Palestinians protested the military invasion into the refugee camp, and added that the soldiers also closed its entrance, preventing the residents from entering or leaving it. 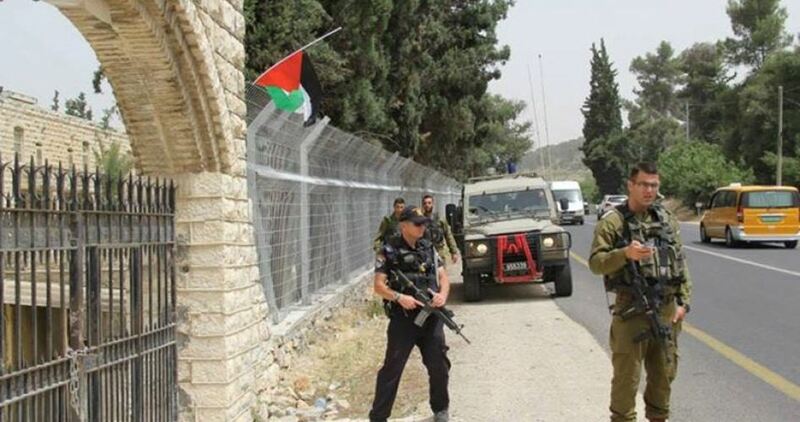 The soldiers also closed the gates of Palestine Technical University (Kadoorei), al-‘Arroub Branch, and prevented the students from entering or leaving it. 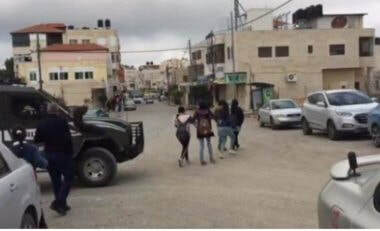 Israeli soldiers detained, on Sunday morning, three schoolgirls from Betunia Basic School, west of Ramallah, in central West Bank, and threatened to attack any person who approaches them after placing them in their jeep, and released them shortly afterwards. The Palestinian Ministry of Education denounced the ongoing Israeli violation, and military harassment against the schoolchildren. detaining them, and left the area. 1. No child shall be subjected to arbitrary or unlawful interference with his or her privacy, family, home or correspondence, nor to unlawful attacks on his or her honor and reputation. 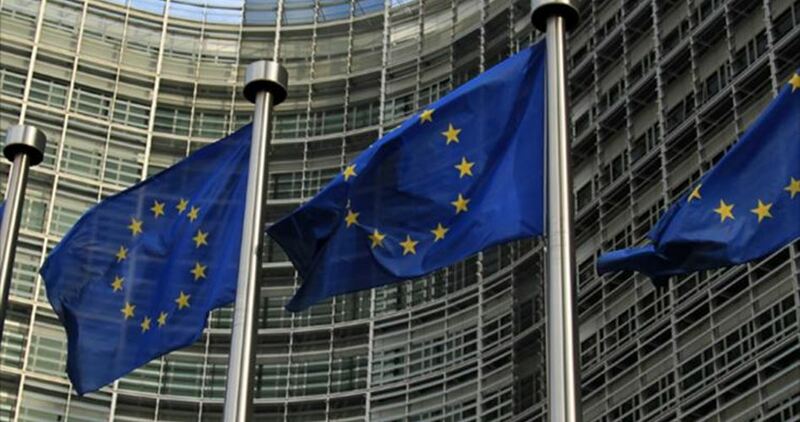 The European Union (EU) expressed, on Thursday, "strong concern" regarding the dismantling of a Palestinian school, serving 40 Palestinian schoolchildren in the al-Simiya village in the southern West Bank district of al-Khalil by the Israeli authorities on December 5th. The EU missions said, in a statement, that this is the fifth demolition or confiscation of school and kindergarten structures which the Israeli authorities have carried out in the West Bank in 2018. According to the EU statement, a total of 50 schools, in Area C and East Jerusalem, have received demolition or stop work orders by Israel "creating a coercive environment affecting more than 5,000 school children." "Every child has the right to access education and States have an obligation to protect, respect and fulfil this right, by ensuring that schools are inviolable safe spaces for children." The statement added "In line with its long-standing position on this issue, the EU calls upon the Israeli authorities to halt demolitions and confiscations of Palestinian houses and property, in accordance with its obligations as an occupying power under international humanitarian law, and to cease the policies of settlement construction and expansion, of designating land for exclusive Israeli use and of denying Palestinian development, all of which threaten the two-state solution." The EU missions in Jerusalem and Ramallah also called upon the Israeli authorities to rebuild the school structures in the same place without delay. The tear gas spread through the neighbourhood into schools and residential buildings along the streets where families live. It was a still afternoon and the tear gas stayed in the immediate area and dispersed very slowly continuing to effect local residents.